I met Mackenzie + Blake at a wedding I did in September. She contacted me because she needed to book an engagement session before she got her wisdom teeth taken out about a week later! 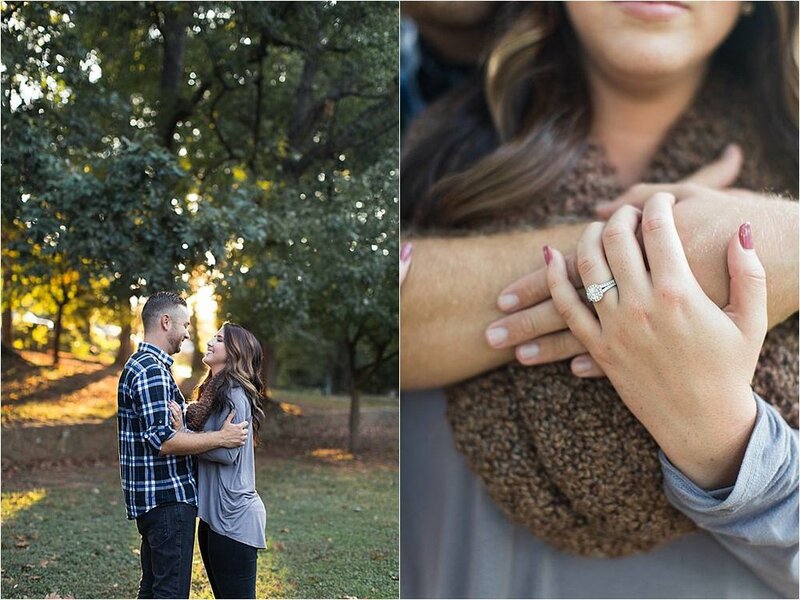 I'm so glad we got to schedule this shoot, because it was absolutely beautiful! We needed up at a park outside the city and it turned out it was all under construction, but we made the most of it and I was in love with the results. Then we decided to head over to one of my favorite parking decks to check out the city skyline at sunset. We may or may not have been told to leave by security, but it was definitely worth it for the shots we got! They were such wonderful couple to work with, and didn't let the multiple road bumps that we hit take away from their excitement over their engagement!! I can't wait for their wedding in October 2018!